Sorry for the lack of posts lately… I was in Texas, I was interviewing grad students for assistinatships and now I am in Alaska. Lets just say there is a lot of future blog topics coming when I get home. Here are a few pictures so far…. 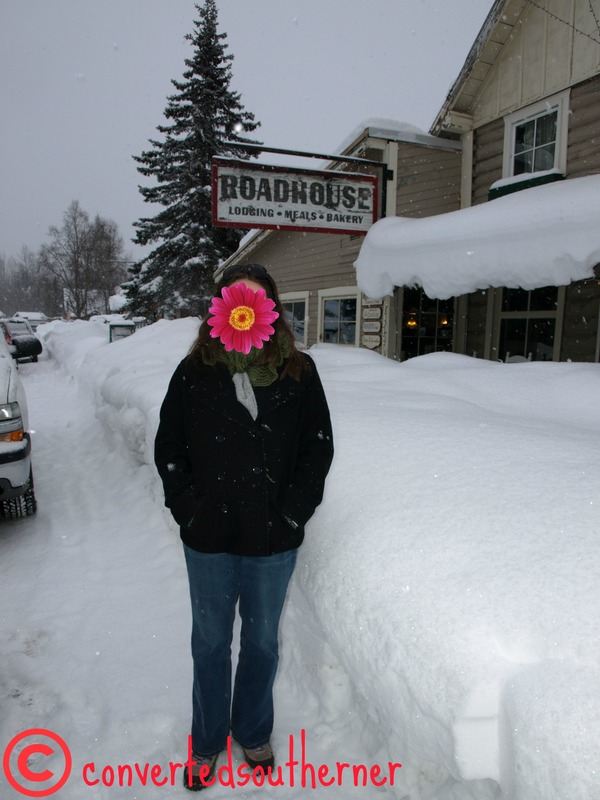 This is me in front of the Talkeenta Roadhouse, where my Aunt Sandy, Uncle Gary and I stopped for some yummy homemade desserts. Highly reccomend the bread pudding! 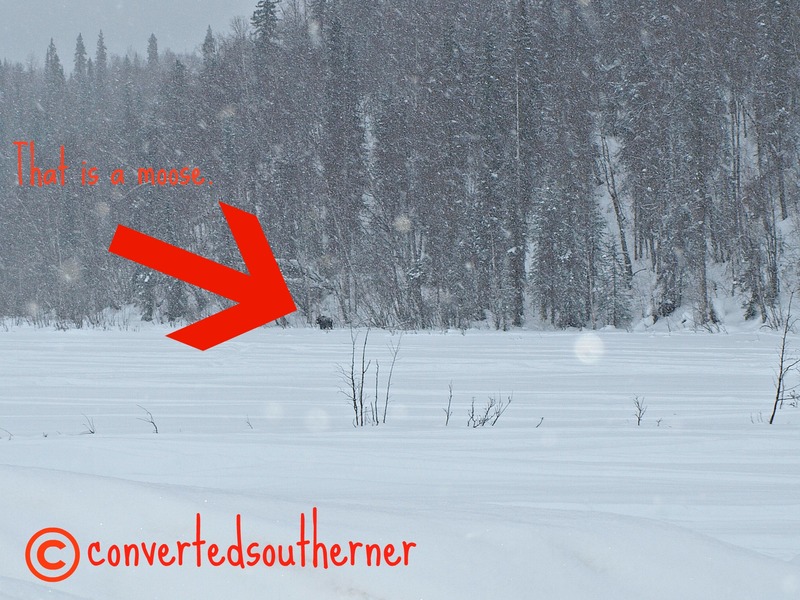 That little dark blob right there is a moose. Now, you can’t get to close because they are very aggressive. Now there is a back story to why I am so excited about this moose. Years ago, Gail and I went to New England for spring break and we were determined to see a moose and spent all week looking…. no luck and it had been a running joke ever since to actually see a moose. So when I actually saw moose yesterday on the road in Alaska, my Aunt and Uncle turned the car around so I could stare in awe for a few moments. I didn’t have my zoom lens with me, so this is the only photo you get…. but there you go Gail. I saw a moose!